Born October 2, 1926 in Havenfort West, Wales. As a boy he travelled throughout the world while his father was in the British Grenadier Guard, he was a member of the All Army Soccer Team. He moved to the United States in 1963 where he started playing in the Utah Soccer Association in 1964. In 1966 he was the founder of the soccer program at Bountiful High School and started the first youth team in Davis County as well as being the founding father of the South Davis Soccer Association in 1969. 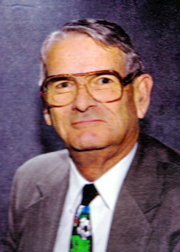 His contributions serving the game were numerous and over years his active role within the Association was felt which included serving as President of the Utah Soccer Association from 1980-1986.